Love these Ziplock containers, only one lid to open and the contents do not spill out. 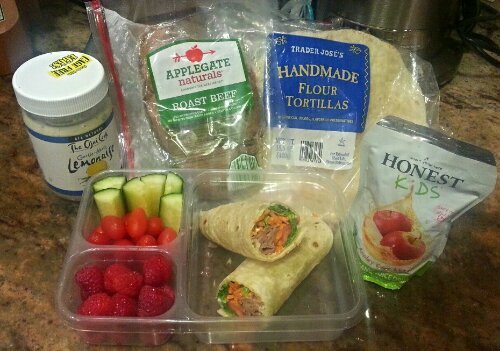 Lemonaise(mayo w/lemon & herbs) spread thinly all over tortilla, veggies and roast beef piled in the middle and wrapped. Yesterday they had the same wrap, with roasted turkey.